It is 90 kajillion degrees outside, so I was tempted to create something cool. 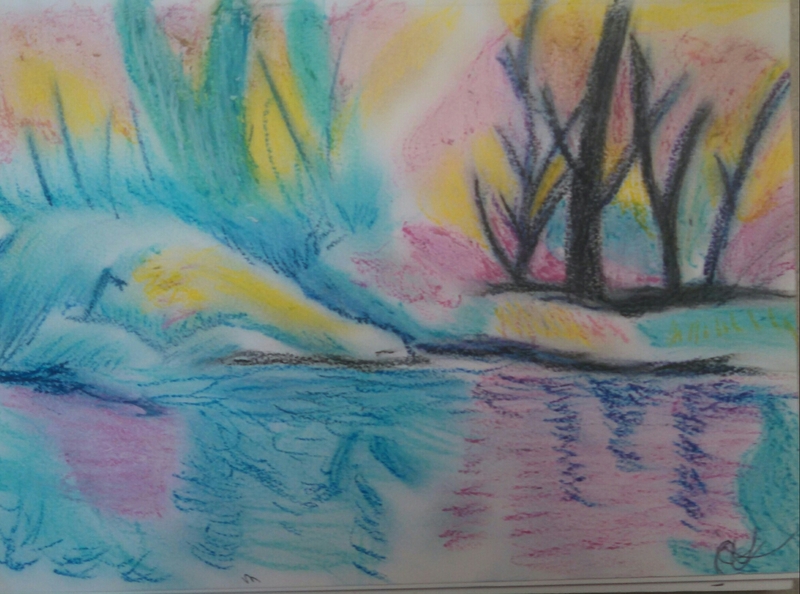 I got a set of $5 oil pastels, and wanted to do some experimenting with colors and lights. Since this is a new medium, I really did a lot of screwing up. I may go back at the rocks covered with snow in the foreground. But, it is still pretty awesome to look at. This one really, really hits home with me for some reason. I love the colors and it does feel sort of afterlifey, or at least otherworldly.